Hello friends…I hope you’ve had a great week thus far. 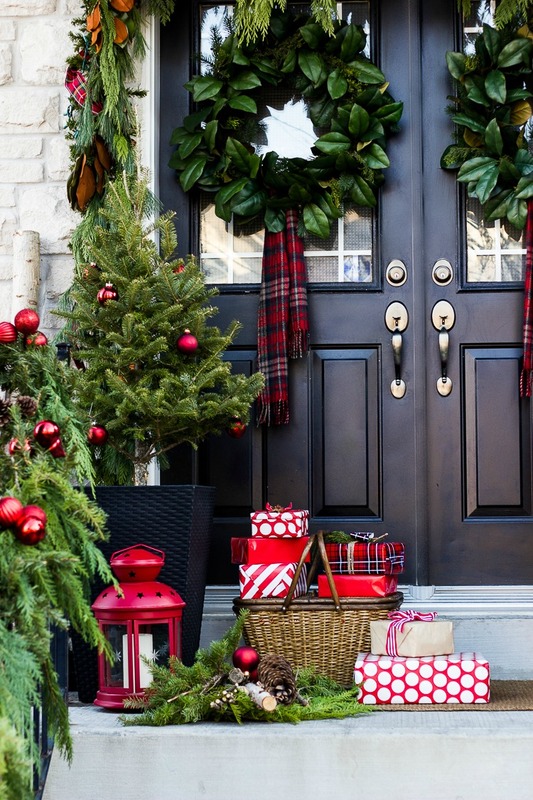 You needn’t look any further than the web to appreciate the holiday season is upon us as people began sharing their homes this week, all decked out for the holidays, offering us lots of eye candy and inspiration. 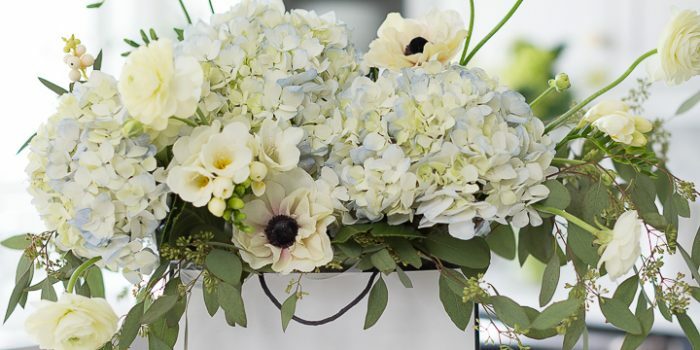 Begin by taking several little bunches of greenery and securing them together using floral wire. 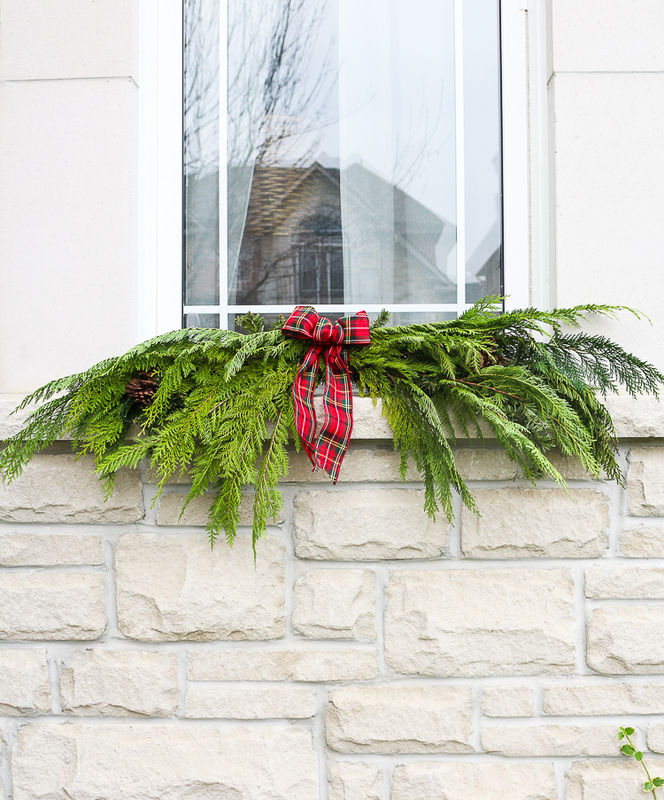 Once your faux garland is in place, insert the grouped bunch of greenery into the garland and attach using wire or with the garland itself. 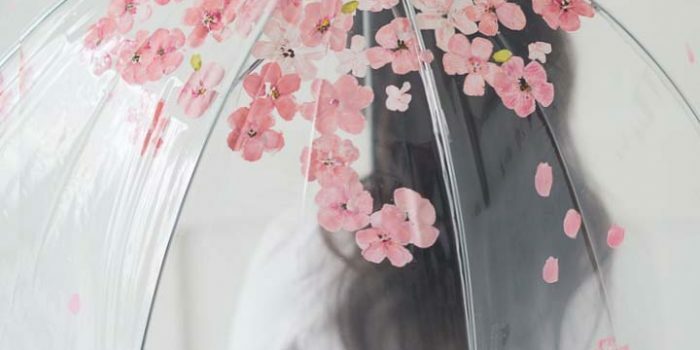 Continue placing the little bunches along the faux garland, working from the center to the outside and then following the faux garland downwards. Here’s a ‘before’ and ‘after’ to compare. The ‘before’ photo was from last year’s porch and although it looked fine, I felt that the real greenery I added this year just takes it up a notch. It would have taken me a long time and significantly more greenery (and cost) to make a garland that long, but by using the existing faux garland, I already had a good base. It’s also much more sturdy as the faux garland has a stiff base because of the wire. 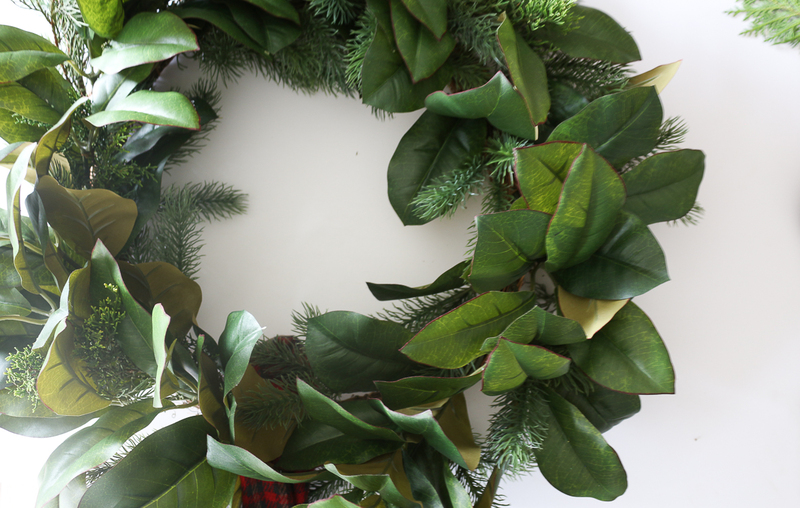 I also like adding real greenery to my faux wreaths. 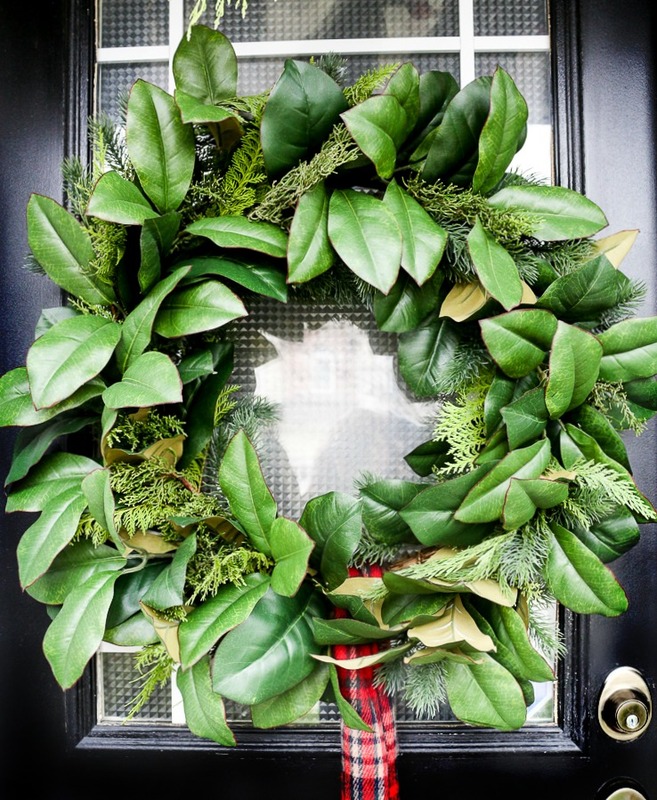 This is a nice wreath to begin with, but by just adding a few sprigs of green, it makes it so much more lush. And it also coordinates with the other greens you’re using. 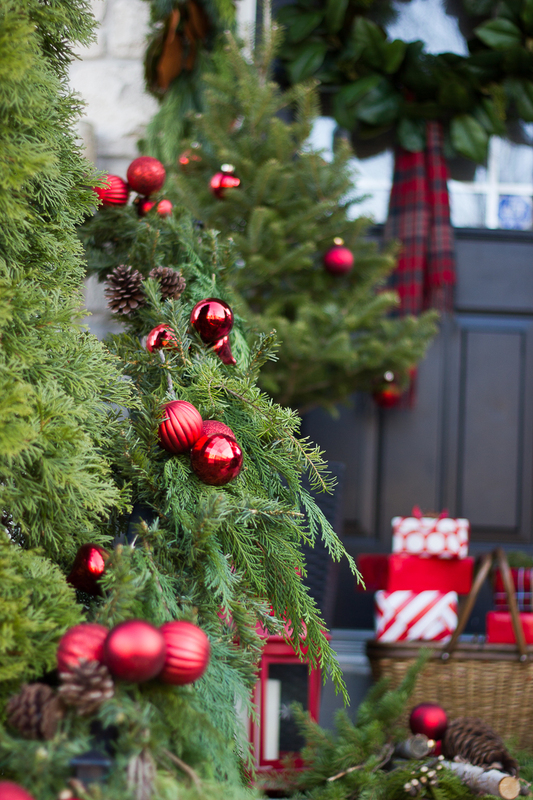 For hanging my wreaths, I like using these damage free Command Outdoor Large Brushed Nickle Metal Hooks as they’re very discrete and can withstand all weather conditions such as rain, snow and extreme temperatures. While discrete, they also have the added benefit of still being very stylish. I use the same principal when decorating the garland on our railing. 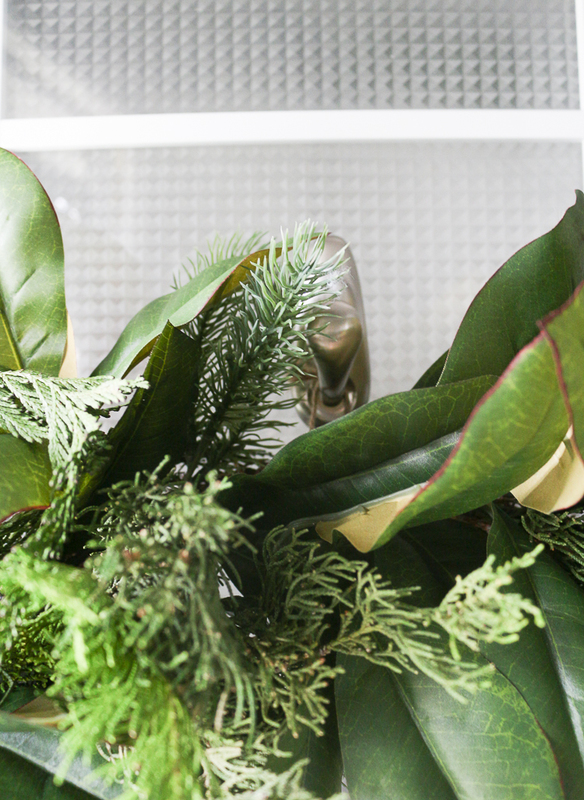 Simply tuck in some real greenery and adorn with some plastic bulbs or pine cones. 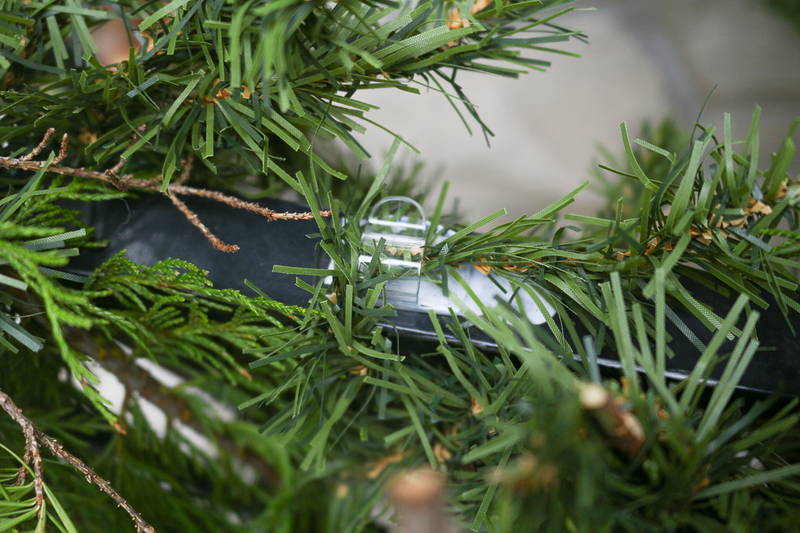 I also find these Command outdoor light clips really handy for attaching lights and ensuring the garland is securely in place. 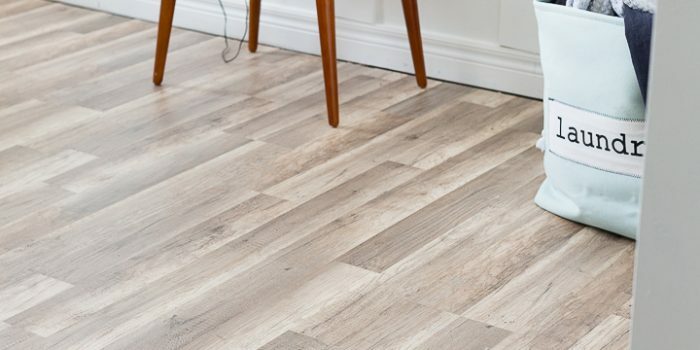 As long as you’re using it on a smooth surface, these hold up very well. For this, I used an 1″ dowel that I had in the garage as I wanted it to be sturdy and not too floppy (but you can use a branch as well). 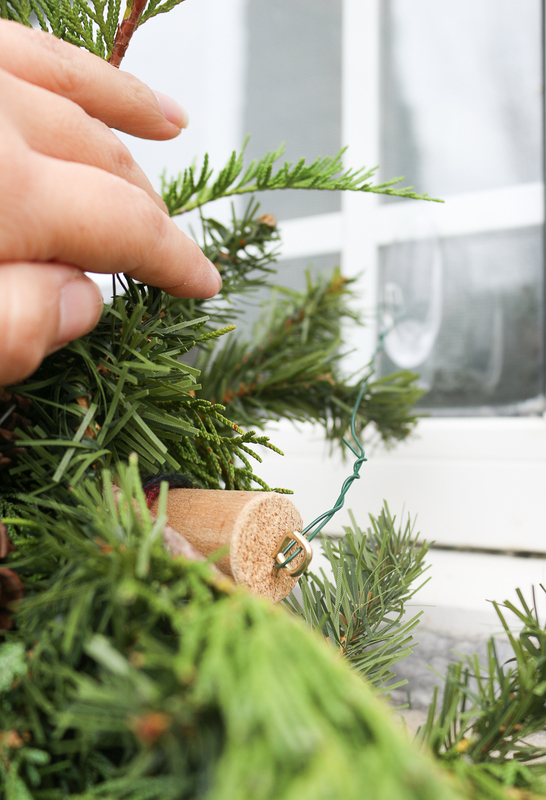 – Measure the size of your window and cut the dowel (or branch) to size. 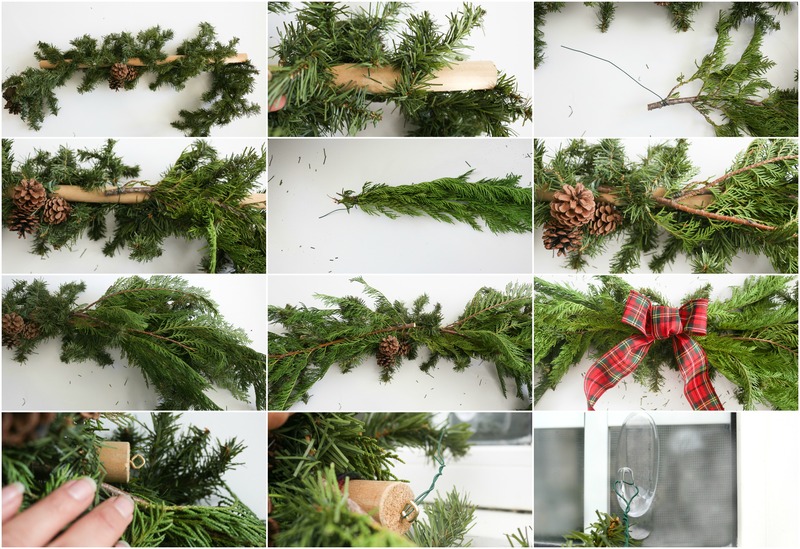 – Wrap your old garland around the dowel and cut off any excess. 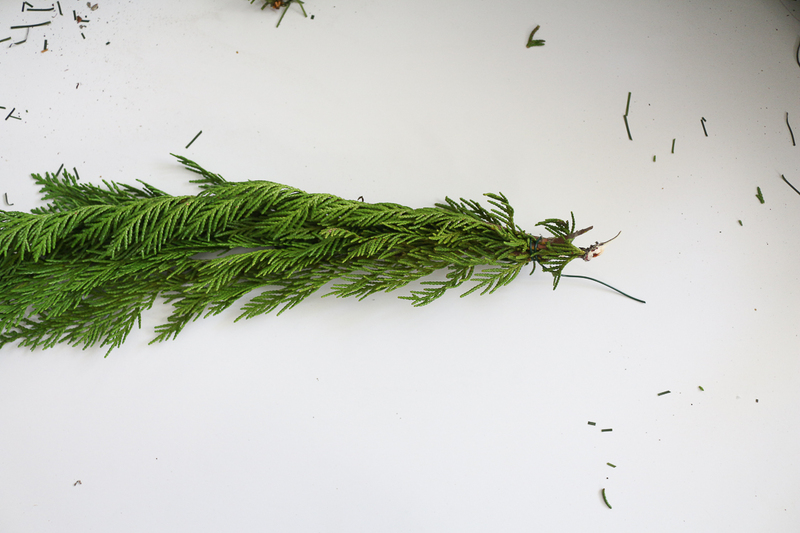 – Make several little bunches of greenery . 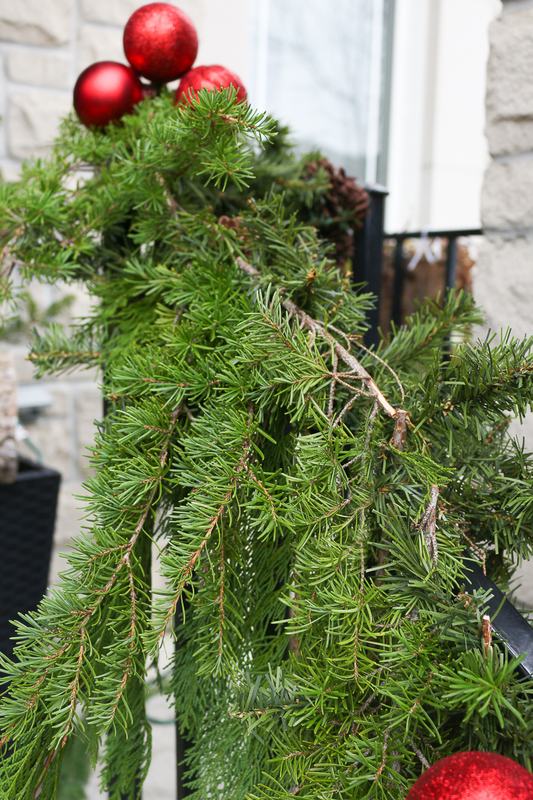 – Attach greenery to the dowel with a wire or with the garland itself. – Work your way from the center outwards, making sure it’s even on both sides. 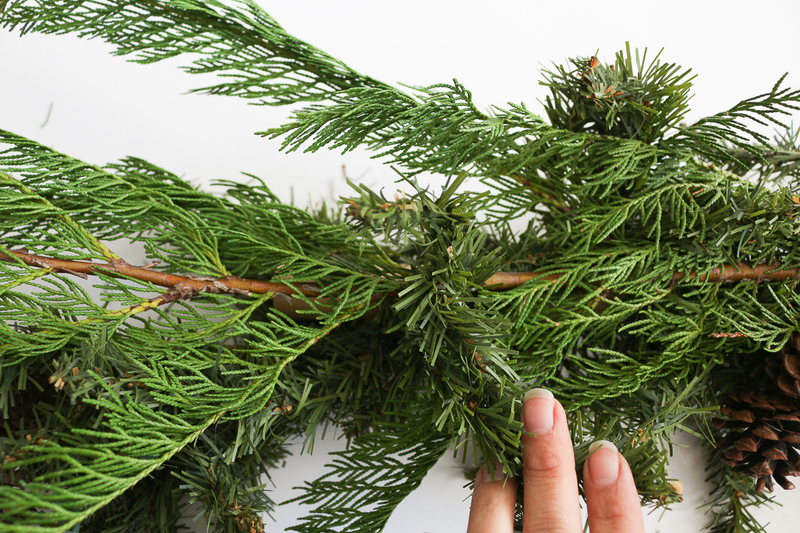 – Place a bow or pine cones in the center. – Attach eye hook to either end of the dowel (in hindsight, you may want to do this step before starting). Now prepare to attach to the window by threading some wire through the eye hook and give it a few twists to secure in place. Repeat this on the other side. 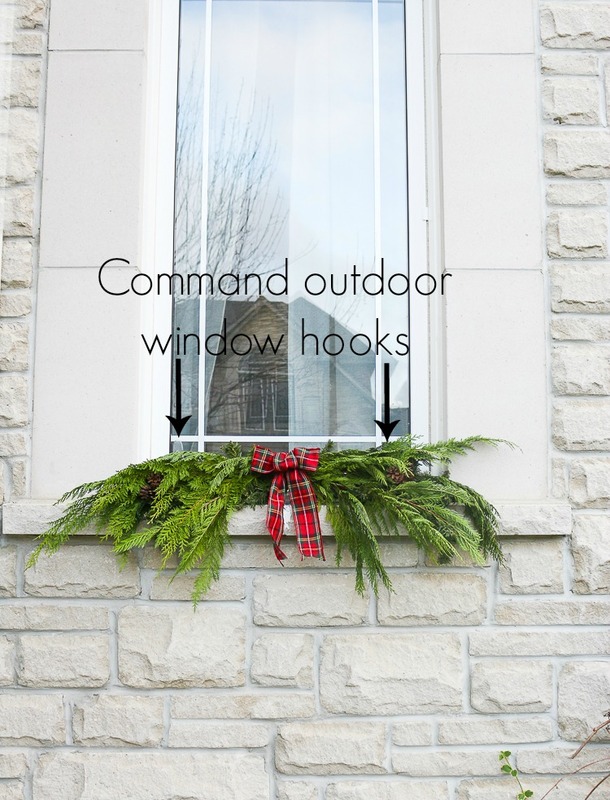 Affix 2 Command Outdoor Medium Clear Window Hooks to the window and loop the wire around them. I’m pretty proud of of this one as I couldn’t – for the life of me – figure out how to attach swag to our window without a) having to drill into our beautiful stone, or b) feeding the wire under the window (but as our windows swing open and does not lift up, this wasn’t an option). I had spent a fair amount of time to Googling “how to hang Christmas window swag” and couldn’t find a solution that would work for me, so I’m so glad for the command hooks invention. ha They’re genius to use for so many things (just make sure the package reads ‘outdoor’) and I can easily remove them once Christmas is over, with no fuss or damage. 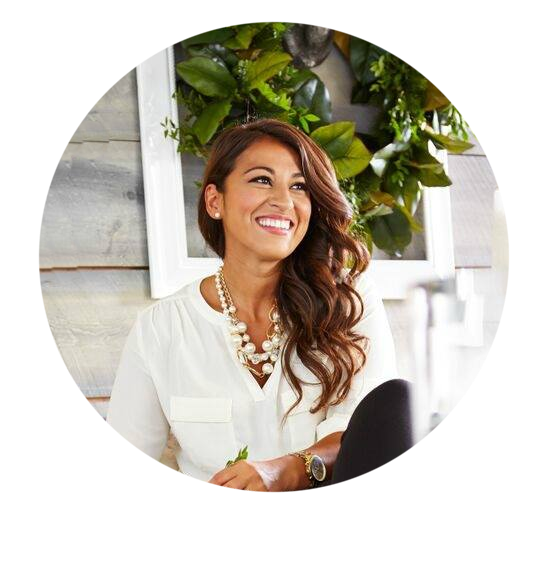 Thank you so much for visiting today…I hope you found some of these tips and tricks useful. Wishing you a great and restful weekend. 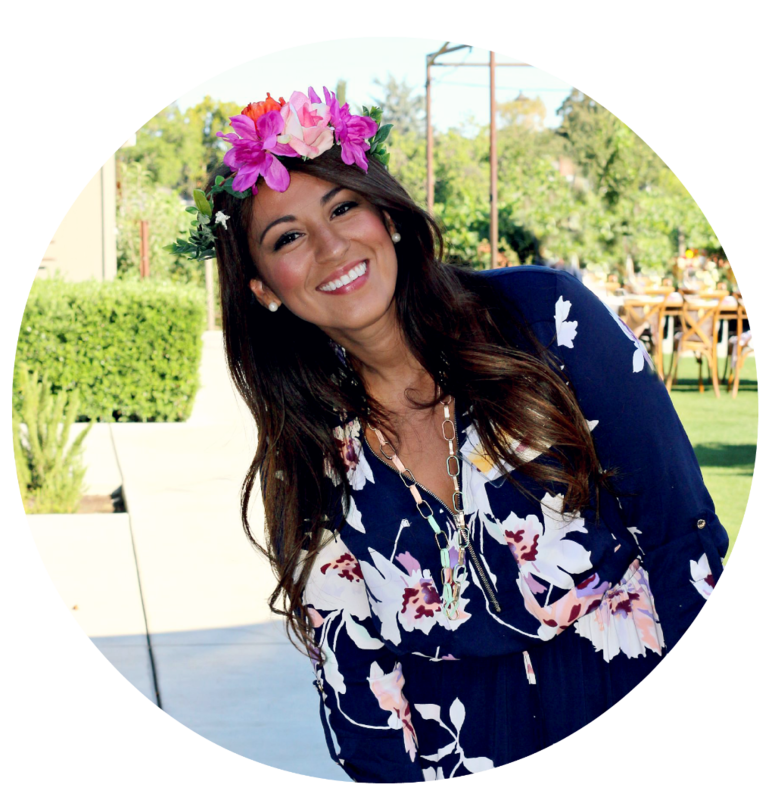 I am a compensated Command Brand sponsored blogger. Opinions are my own and additional products used in the project were selected by me. 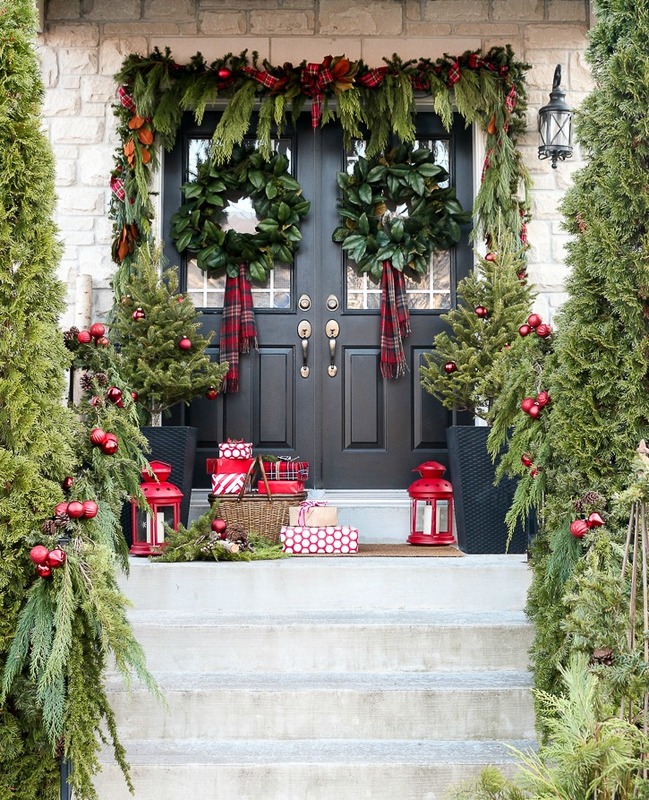 This is one of the most beautiful front porch’s I have seen. Feel free to come to my house and decorate ! Looks stunning! 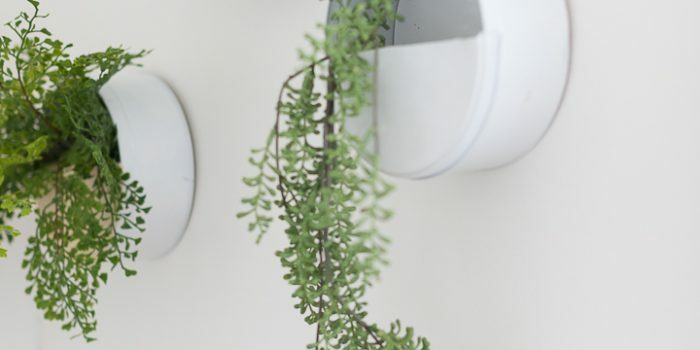 The clear Command hooks – perfect idea! 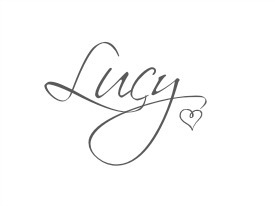 Thank you Lucy! 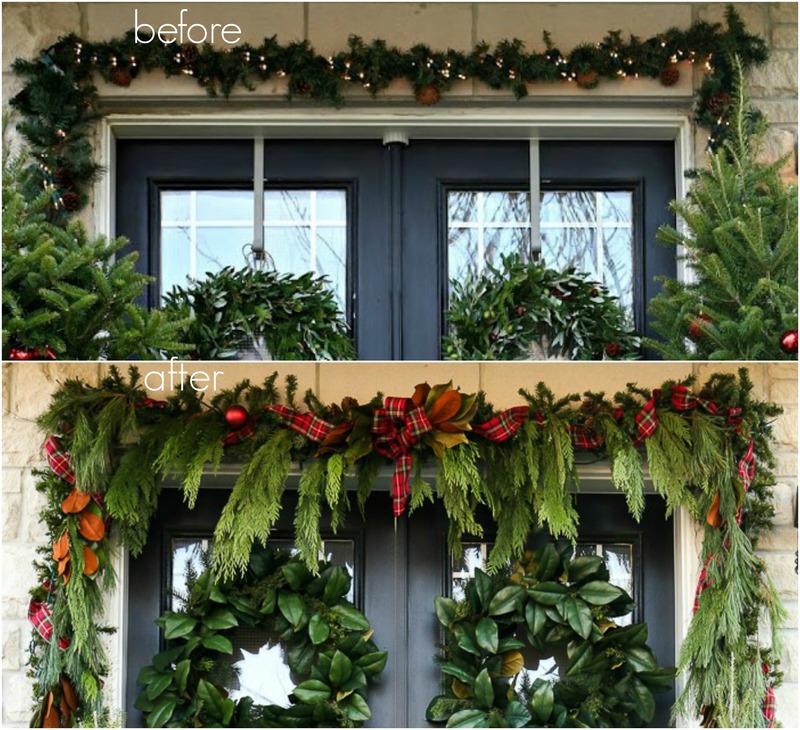 How did you attach the garland above the door? Wow! 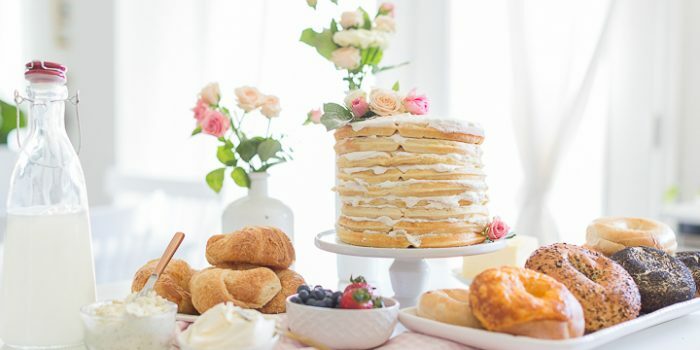 Your house looks so beautiful! I love what you did and those Command hooks are pretty cool things. We used to totally decorate the outside of our house years ago. We even had music playing! Our town does a Christmas decorating contest every year and we won an honorable mention. Dad used to do it all and to this day I don’t know where he plugged it all in. Dad is now 92 this year and he hasn’t been able to do it for quite a while. I wish I could do this but I’m not sure that I could. It’s nice to see how everyone else does their’s though. Thanks for making the directions so easy to follow. I truly want to try this. 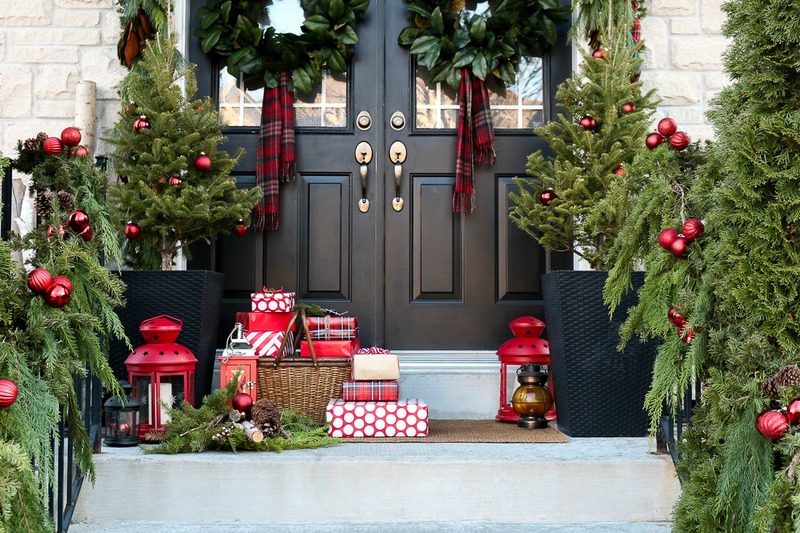 Your porch is beautiful!!! BRILLIANT!!!! Love this idea and I have often wanted to do this myself! Thanks for the great tips! Thank you SO much! I’ve been searching for several years now – ugh. Aside from walking up to a strangers house, in a swanky neighborhood and run the risk of getting arrested, you have FINALLY answered my question! THANK YOU SO MUCH!!! Can you tell me how many springs you used per window. How many sprigs did you use per window? WOW!! You answered my question on how to hang the swag. Great idea as I too have windows that open out and the house is of brick exterior.